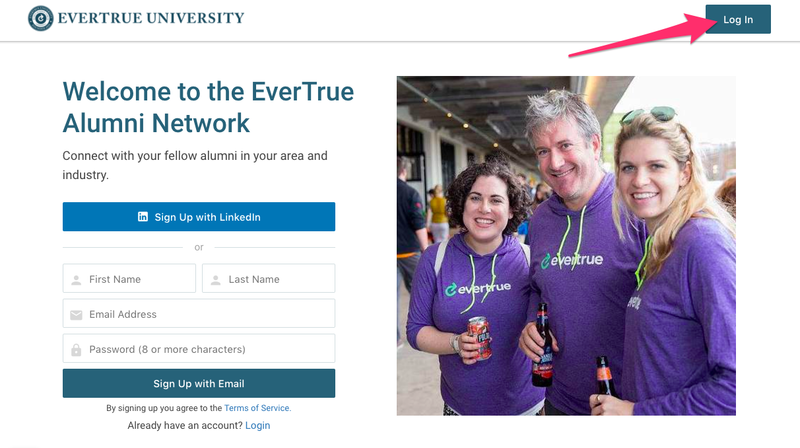 We are excited to offer EverTrue's Alumni Community web portal to your alumni! Below you'll find information to help them get started with the login process. Feel free to include this in an email to them or post somewhere on your website. Logging into your Alumni Community web portal is almost identical to the experience an alum has on their mobile device. 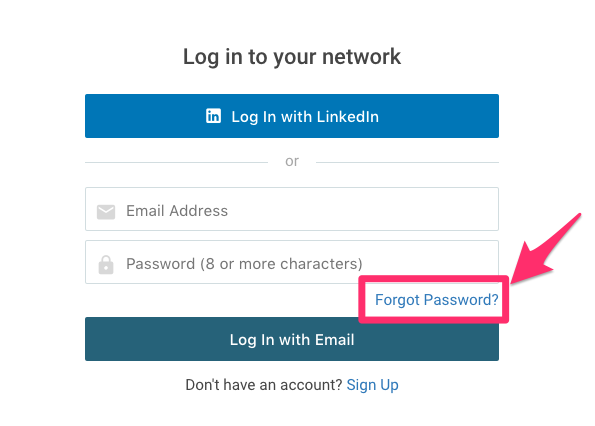 For new users (who have never accessed your community, whether through the mobile app or web portal), they are given the option to signup with either LinkedIn or Email/Password right on the home page. If the alum is a returning user (having logged into the mobile app or web portal previously), they can go straight to Log In and use either LinkedIn or an Email/Password to access your community just as they would on their mobile device. If an alum has chosen to log in with Email/Password but has forgotten their password... no worries! They can reset their password at any time by clicking "Forgot Password?" For more information on the entire sign up flow from both the alum and admin perspective, click here! This article will walk you through each step of authentication to ensure a user can access your Community.